An excellently comfortable and effective invention in the World of bicycling was the introduction of Recumbent Bicycles. Once used for racing, with various sizes of tyres, now a days, Stationary Recumbent Exercise Bikes are serving as a fantastic mode of exercising.Designed of indoor workout, Recumbent Exercise Bikes are effective means of losing calories, even without having to go out. As effective a Recumbent Exercise Bike is, equally important is to choose just the right one, as per your suitability. In fact, a good Recumbent Bike serves as an extension to your will of exercising. Depending upon the difference in human ergonomics (Due to size and reach), there are different models and designs of Recumbent Exercise Bikes available in the market. The modern Recumbent Bikes come with numerous technical add-ons incorporated inside them e.g. Speedometer, Distance Calculator, Calorie Calculator, Pulse-Rate monitor and many more. From employing body positions suitable for cycling to many other little add-ons, these machines are designed to optimize your efforts. 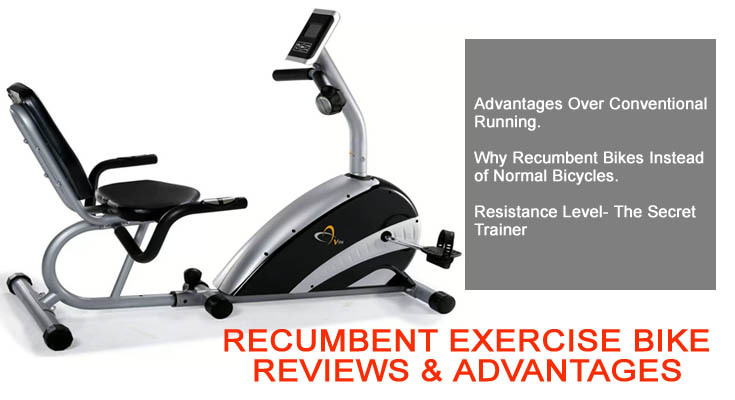 Advantages of Recumbent Bikes Over Conventional Running? True, you can lose almost equal number of calories both in outdoor running and Exercising on Recumbent Bikes. But, then you have these technical superiorities and luxuries about Recumbent Bikes. You can customize and keep a track of the number of calories burned using the Calorie burned meter, you can keep an eye on your pulse rate using pulse meter incorporated within the Recumbent Bikes. Moreover, you do not have to rely on a pleasant weather to go out for exercising. You can install the machine in a small space inside your house and just start cycling. Why Recumbent Bikes Instead of Normal Bicycles? Cycling on an actual bicycle can sometimes lead to back pain for some people as a result of bad posture or it can also take its toll on your knees as well. On the other hand, a recumbent bike is designed in an ergonomic manner which gently enforces proper body positioning to make your workout a safe and effective one. The modern Recumbent Bikes come with number of Resistance Levels to choose from and fine tune your workout in a trained manner. Some of the bikes come with automatic and some with manual settings for resistance levels. Based on a set of parameters you define (Such as weight, height etc.) and other parameters that machine automatically reads (such as heartbeat rate, pulse rate, blood pressure etc. ), machine presents you with customized levels of resistances, for optimized training. 1- FreeMotion 350R Recumbent Bike – The Free Motion 350R recumbent bike is your perfect indoor partner to achieve an appreciable level of fitness without having to leave the comfort of your home. With its 22 built-in workout applications, a Dual-Grip EKG™ heart rate monitor, 22 digital resistance controls and your iPod® compatibility, the Free Motion 50R recumbent bike is highly rated recumbent bike features. 2- Stamina Elite Total Body Recumbent Bike – Along with its eight levels of resistance and multi functional digital display, Stamina®’s Elite Total Body Recumbent bike is designed to suit your ergonomics. The Bike puts you in a semi-reclined position, thereby focusing on your major hip muscles, thighs and buttocks while you get a cardiovascular workout. The pedal on the upper body of bike is to work on your arms, shoulders and back, while you cycle it with your palms. This results in a well toned upper body as well. 3- Endurance B2R Recumbent Exercise Bike– Featuring 16 levels of smooth magnetic resistance designed to make you push your limits further, the Endurance® B2R recumbent exercise bike comes with a self contained generator for operating power supply. The comfortable seat pad ensure an enjoyable stay of yours, while the contact heart rate monitor is there to guide you to optimize your workout. 4- Stamina Deluxe Conversion II Recumbent Bike/Rower– The Stamina Deluxe Conversion II Recumbent Bike/Rower combines the services of both Rowing and Cycling together. While the Rowing is a fantastic complete-body workout, the cycling is mostly focused towards the lower body and aerobic endurance. Recognized as two of the best activities for fitness and strength Rowing and cycling are both catered in a manner by this Bike, so that Stamina® Conversion II® recumbent bike/rower doesn’t let any single part of your body go not worked upon. 5- Endurance B3R Recumbent Exercise Bike– The bike offers top-quality features to provide you with the luxury of a top-end bike. Along with the absolutely comfortable seat and 16 levels of smoothly adjustable magnetic resistance, you will have a joy on your daily rides. 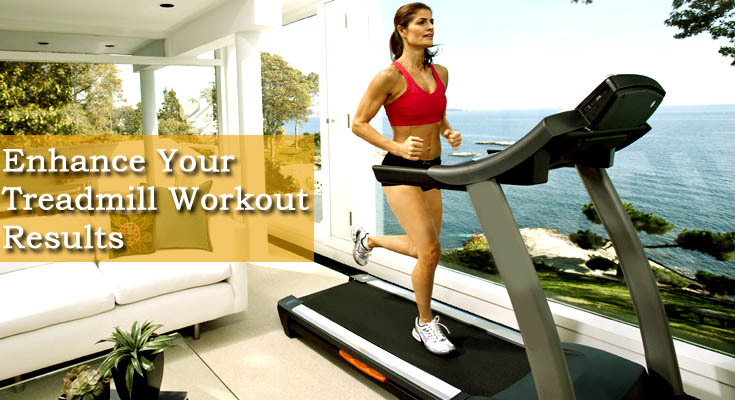 You can customize your workouts as per your convenience to enhance your endurance and optimize the cardio benefit.